Poetry Readings | Teachers Act Up! Ida Stewart’s first book, Gloss, won the 2011 Perugia Press Prize. A native of West Virginia, she holds an MFA in creative writing from The Ohio State University and is currently pursuing a PhD in creative writing here at The University of Georgia. She’s a co-editor of Unsplendid and has also served as an editorial assistant at The Georgia Review. Ginger Murchison, together with Thomas Lux, founded Georgia Tech’s POETRY at TECH, where she served as associate director five years and has been one of its McEver Visiting Chairs in Poetry since 2009. A three-time Pushcart nominee, she is a graduate of Warren Wilson’s MFA Program for Writers and editor of the acclaimed Cortland Review. Her first collection of poems, Out Here, was published by Jeanne Duval Editions in 2008. Born in Atlanta, poet M. Ayodele Heath is a graduate of the MFA program at New England College. His debut poetry collection, Otherness, is available on Brick Road Poetry Press. Heath’s honors include a 2009 Dorothy Rosenberg Prize and a McEver Visiting Chair in Writing at Georgia Tech. He has been awarded fellowships from Cave Canem, Summer Poetry at Idyllwild, and the Caversham Centre for Writers & Artists in South Africa and received a grant in Literary Arts from the Atlanta Bureau for Cultural Affairs. Alice Friman’s fifth book of poetry is Vinculum, LSU. Previous books are The Book of the Rotten Daughter and Inverted Fire, BkMk, and Zoo, Arkansas. She has received fellowships from the Indiana Arts Commission, the Arts Council of Indianapolis, MacDowell, Yaddo, and the Bernheim Foundation. Among her prizes are a 2012 Pushcart Prize, the 2001 James Boatwright Prize from Shenandoah, plus three prizes from the Poetry Society of America. Anthologized widely and published in thirteen countries, she was Professor of English and creative writing at the University of Indianapolis from 1973 to 1993 and is now Poet-in-Residence at Georgia College & State University. A night of readings from University of Georgia educators and poets. Listen to this poem, here. Description: Waldman will present a range of her own poetry in performance. She draws on ideas of “modal structure” and Sprechstimme (speak-singing) in performance. 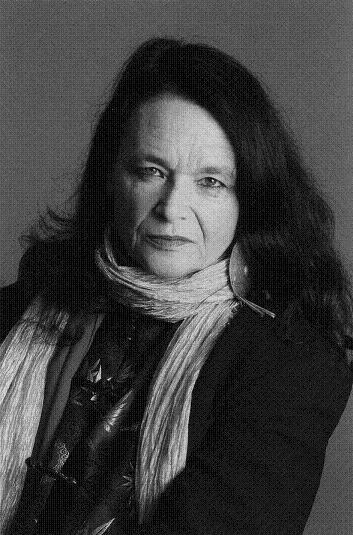 Anne Waldman, poet, performer, professor, cultural activist is the celebrated author of over 40 books of poetry, most recently the hybrid ecological poemManatee/Humanity (Penguin Poets, 2009) and the thousand page anti-war epicThe Iovis Trilogy: Colors in the Mechanism of Concealment (Coffee House Press, 2011). Her other books include Fast Speaking Woman (City Lights, S.F. ), Marriage: A Sentence (Penguin) and, In the Room of Never Grieve: Selected Poems (Coffee House Press). She is the winner of the Poetry Society of America’s Shelley Memorial Award, and has recently been appointed a Chancellor to the Academy of American Poets. She is the co-founder with Allen Ginsberg of the Jack Kerouac School of Disembodied Poetics at the Buddhist inspired Naropa University Boulder, Colorado where she is a Distinguished Professor and Artistic Director of the Summer Writing Program. She is the co-editor of Civil Disobediences: Poetics and Politics in Action, and Beats at Naropa, collections of essays from the Kerouac School Archive. Her play Red Noir was produced by the Living Theatre in New York in 2010, and she has collaborated with numerous artists, writers and composers, including work with her son composerAmbrose Bye on the CDs “Matching Half” and “The Milk of Universal Kindness”. She has recently presented work at festivals and conferences in China, India, Paris, Nicaragua and Montreal.